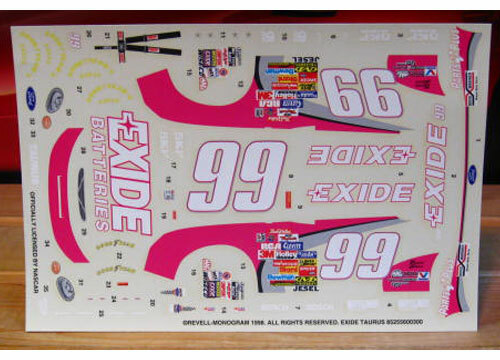 #99 Exide Taurus driven by Jeff Burton in the 1998 season. 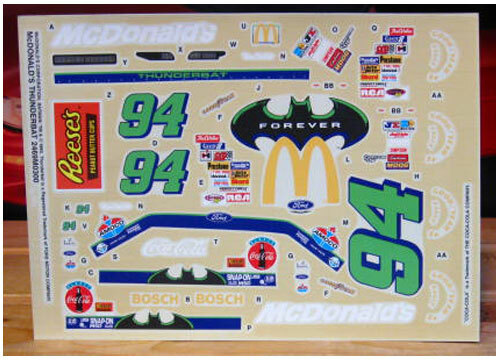 #94 McDonalds Batman Forever "Thunderbat" driven by Bill Elliott in the 1995 season. 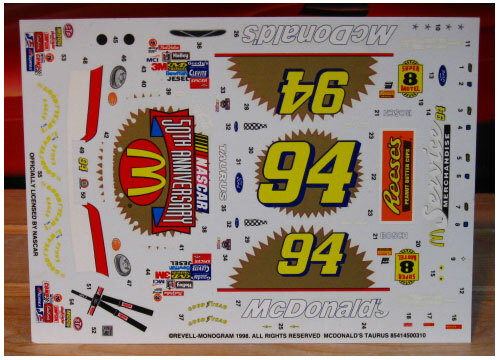 #94 McDonalds Service Merchandise Taurus driven by Bill Elliott in the 1998 season. 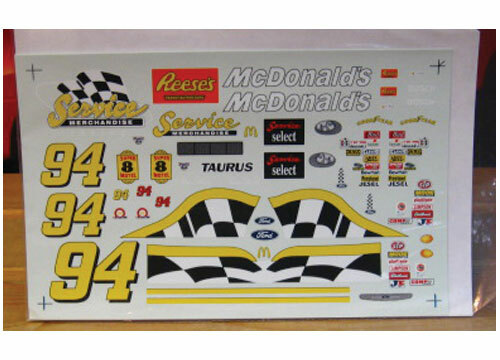 #94 McDonalds Gold Taurus driven by Bill Elliott in the 1998 season. 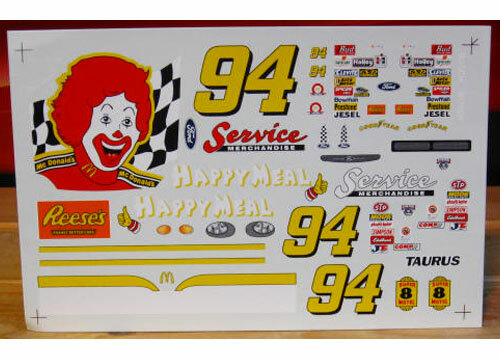 #94 Happy Meal Taurus driven by Bill Elliott in the 1998 season. #90 Sunny King Ford Thunderbird driven by Ken Schrader in the 1985 season. 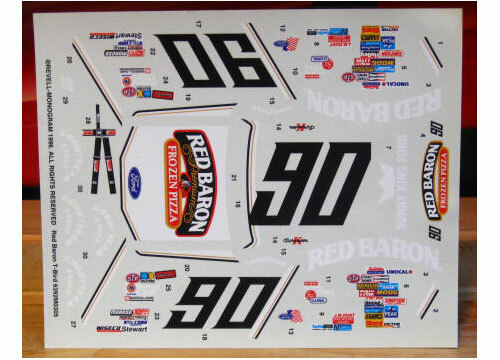 #90 Red Baron Thunderbird driven by Ken Schrader in the 1987 season. 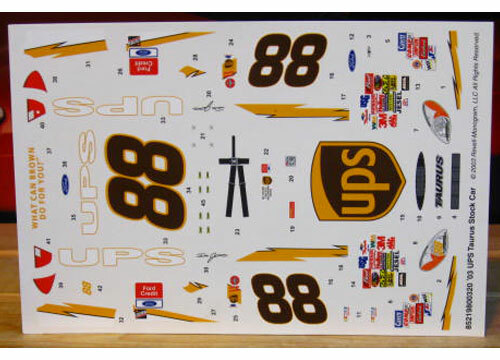 #88 UPS Taurus driven by Dale Jarrett in the 2003 season. 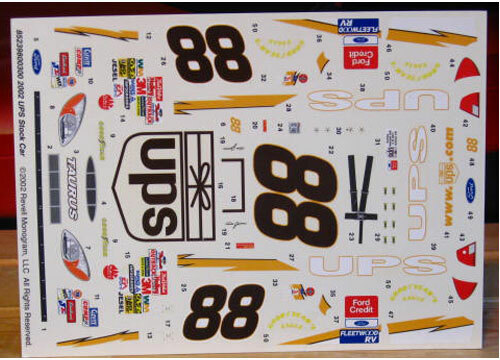 #88 UPS Taurus driven by Dale Jarrett in the 2002 season.